Your decision has a big impact on your community. As a parent, you want to make the right choices for your child to best protect them. But vaccination is not just a personal choice. Your decision affects the health of all children in your community, including your own. 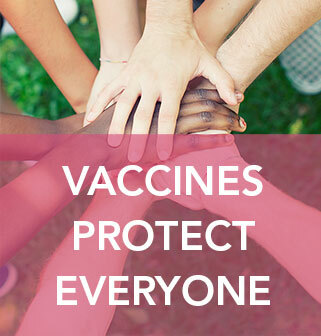 The vaccinated community helps to protect those who are not vaccinated, a concept known as “herd immunity” or “community immunity.” When 90–95 percent of a community is protected, it is nearly impossible for a vaccine-preventable disease to spread. Community immunity is an umbrella of protection. Think of germs as rain. Vaccination is a raincoat. Even with a raincoat on, you can still get wet. You need an umbrella, too. The umbrella is “community immunity.” Those who don’t vaccinate rely on others to share their umbrella when it rains. But we need our communities to invest in umbrellas together. Newborns rely on their parents and on their caregivers to offer protection by sharing their umbrellas. 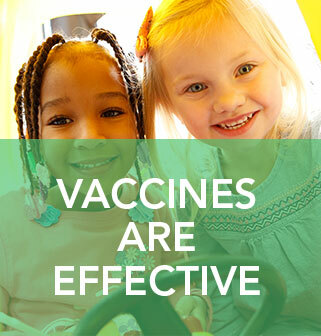 Vaccination protects the people you care about. You need to be vaccinated. The people around you need to be vaccinated. For most vaccine-preventable diseases, when less than 90 percent of children are vaccinated in a particular community, these pockets of low vaccination create an environment where diseases can take hold and spread. Only a very small percentage of children in the U.S. are completely unvaccinated—about 3 percent—however, they tend to group in certain communities. 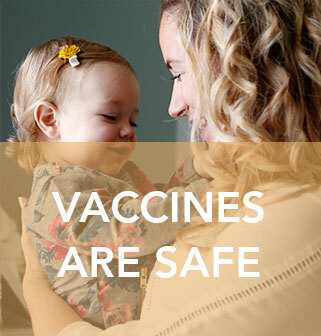 Parents may share false information they find online, or talk to a friend who has decided not to vaccinate their child. This misinformation can spread throughout a community and put community immunity in jeopardy. According to Michigan Care Improvement Registry (MCIR) data from September 2018, only 58.4 percent of Michigan toddlers are up to date on all of their recommended vaccinations. The percent of Michigan children ages 19 through 35 months who are protected against the following diseases are shown below. While progress has been made, there’s still room for improvement in Michigan communities. In recent years, Michigan had some of the lowest vaccination rates in the country. Efforts have been made to improve vaccination coverage and as a result, more people are getting vaccinated. To continue to protect as many people as possible, more can still be done to achieve community immunity across our state. Only 58.4 percent of Michigan toddlers aged 19 through 35 months are up to date on their vaccinations, according to data from MCIR from September 2018. In the U.S., 71.3 percent of children 19 through 35 months living in major cities are up to date on their vaccinations (7 series), compared to 55.8 percent in Michigan. In Michigan, 64.7 percent of 5-month-old children were up to date for the recommended vaccines, but this number drops to 54.4 percent for 7-month-old children, according to MCIR data from January 2018. During the 2016-17 school year, Michigan had the 11th highest non-medical exemption rate in the nation for kindergartners, with 3.5 percent of parents simply choosing not to immunize their children. In 2017, Michigan had 23 counties with a vaccine waiver rate of 5 percent or more among kindergartners. Only 40.3 percent of Michigan teens aged 13 to 17 years are up to date on their vaccinations, according to data from MCIR from September 2018. In Michigan, parents with school-age children have the option to sign a vaccination waiver for philosophical or religious reasons. As of 2015, parents who want a waiver for their child must attend an information session at their local health department. Areas with more vaccination waivers mean fewer children in the community are vaccinated and the community may not be protected by community immunity.